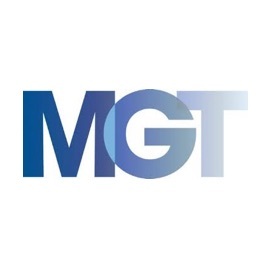 MGT Capital Investments, Inc. has formally entered into a Letter of Intent (LOI) with Tera Group, Inc., the owner of regulated Swap Execution Facility (SEF), TeraExchange, LLC. Back in October, TeraExchange, under the authorization of the US derivatives watchdog, the CFTC, completed their inaugural bitcoin transaction. The initial trade was completed between digitalBTC, the world’s first Bitcoin-focused company to commence trading on a major stock exchange and a hedging counterparty. The nature of the LOI or agreement will be the issuing of MGT’s shares of common stock to the current owners of Tera, which represent 70% of the pro-forma equity of the combined companies at closing, pending regulatory approval. Both MGT and Tera are working towards a targeted date of March 16, 2015, whereby the agreement will be finalized with approval for share ownership transfer by the Securities and Exchange Commission (SEC). Tera is most widely known for its integral role in the development of bitcoin derivatives in the industry. In particular, its Tera Bitcoin Price Index (TeraBit) works in tandem with a variety of global Bitcoin spot exchanges. “The proposed merger with Tera gives immediate and future value to our stockholders, while creating a robust platform for the growth of the industry’s first publicly listed bitcoin derivatives exchange. The Bitcoin industry attracted over $400 million of investment capital from some of the world’s most prominent investors over the past 12 months; we see our move today as further progress in the broader adoption of the industry,” added H. Robert Holmes, Chairman of MGT’s Board of Directors.